Pictured here is a knife sharpening stone typically used for podiatric tools. 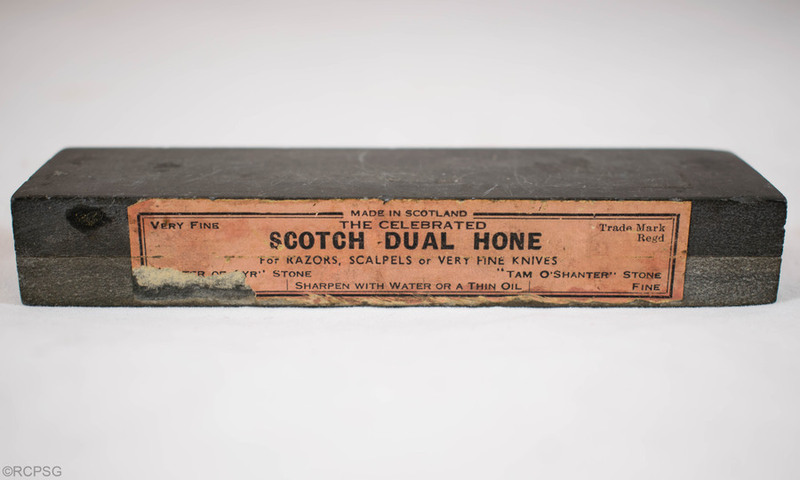 The label reads, "Made in Scotland, the celebrated Scotch Dual Hone". The stone itself is named "Wanter of Ayr" stone or "Tam O' Shanter" stone, referring to a specific type of stone mined in Ayr. The name Tam O' Shanter links back to the famous Robert Burns poem of the same name, where Tam O' Shanter encounters mystical beings when riding home after an evening drinking in the pub. The Water of Ayr & Tam O' Shanter Hone Works Ltd. The Water of Ayr & Tam O' Shanter Hone Works Ltd. , “Scotch Dual Hone,” Heritage, accessed April 20, 2019, https://heritage.rcpsg.ac.uk/items/show/134. Description: Hone, glass, 20th century. Pictured here is a knife sharpening stone typically used for podiatric tools. 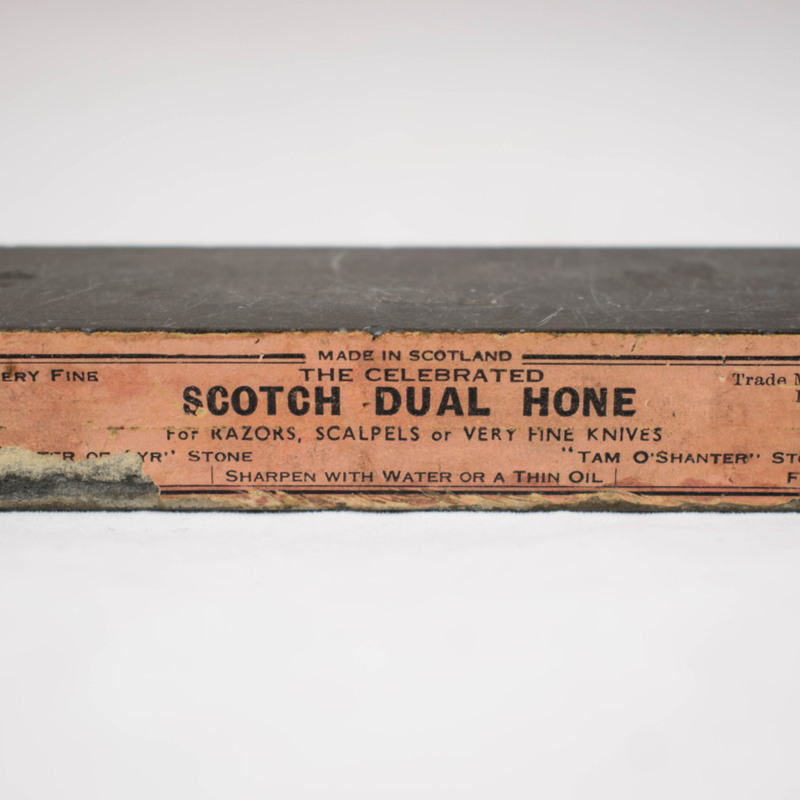 The label reads, "Made in Scotland, the celebrated Scotch Dual Hone". The stone itself is named "Wanter of Ayr" stone or "Tam O' Shanter" stone, referring to a specific type of stone mined in Ayr. The name Tam O' Shanter links back to the famous Robert Burns poem of the same name, where Tam O' Shanter encounters mystical beings when riding home after an evening drinking in the pub. Creator: The Water of Ayr & Tam O' Shanter Hone Works Ltd.